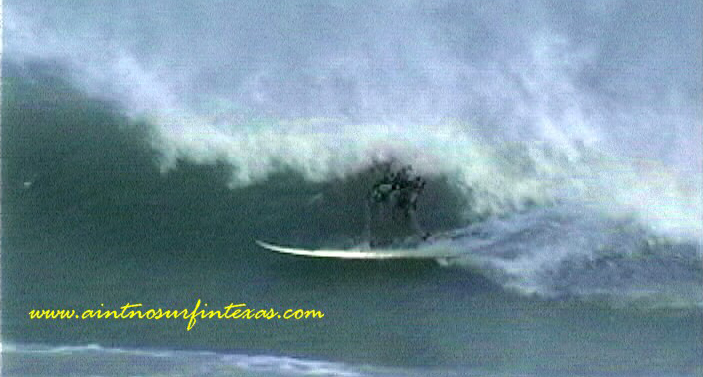 'There Aint No Surf in Texas' includes epic surf from hurricane seasons. 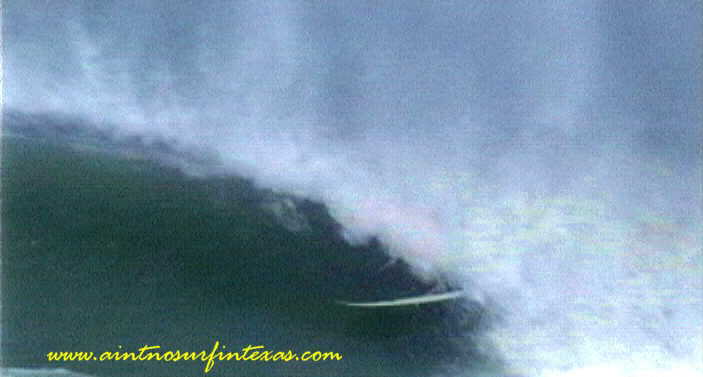 Tropical Storm Frances in 1998 proved just how good the surf and surfing can be at Isla Blanca Park in South Padre Island. The waves were big, lined-up and fast. 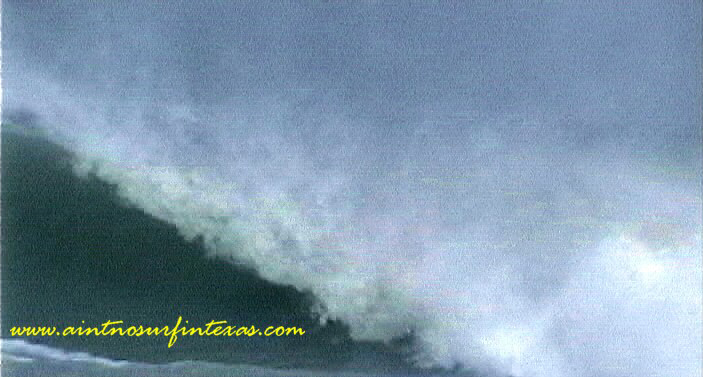 Cold fronts bring the alternating on-shore and off-shore winds needed for great gulf surf. Many tubes were had during the classic, 3-day September swell. Here is a photo sequence taken from the movie of Bronson Hilliard.